1# You surely have a stockpile of food. Probably cookies, Nutella, croissant (for the most fancy ones) a frozen cow, pizza, pasta and salami, will help you to survive those moments of hunger in which you would be able to eat the whole kitchen alone. 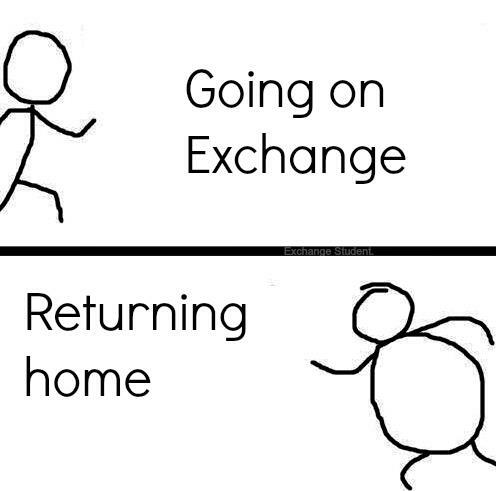 There are two kinds of exchange student: the ones that in the middle in the night, while the host family is asleep, sneak out their rooms and go and grab everything they can find in the fridge. And there are the ones with the stockpile of food, settled just next to the bed. 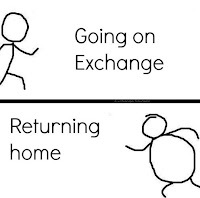 Cause everybody knows, exchange student often are lazy. 2# You`ve got a flag of your home country, maybe with the signatures and messages of friends and random people you have met in your way till here. 3# You`ve got a diary or some kind of book, where you write what happens to you, or complain about the weather, the school or your host country. 4# You probably also have a flag of your host country, and some kind of tourist souvenirs that you bought in the first weeks of your exchange year. And now you look at them with contempt, cause now you are almost a native in your host country, who needs souvenirs? ?